Beginning in 1820, Birmingham details the Portuguese attempt to create a third, African, empire in Angola after the virtual loss of Asia and America. He charts the great flows of migrant people to and from the country that underpinned these colonial efforts and the burgeoning slave trade that went hand in hand with it. 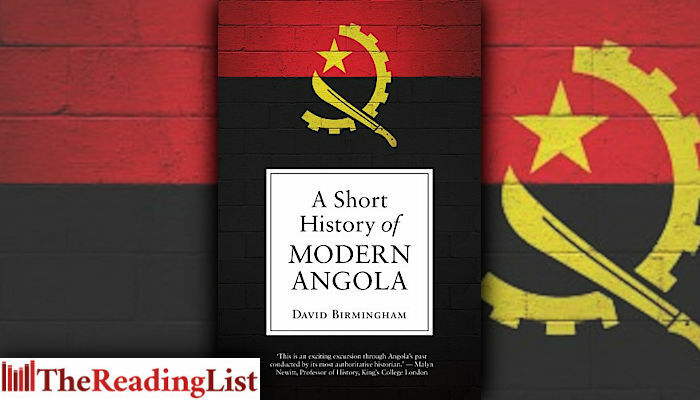 A Short History of Modern Angola is a journey through the 20th century in Angola – the playing out of its politics, trade and labour practices against the backdrop of white settlement, and the eventual fall of Portuguese colonialism and Angola’s struggle for national identity. It concludes with an examination of the civil war that ravaged the country in the 70s and 80s, which ended in 2002, but from whose legacy the Angolan people are still trying to rebuild today. There are few outsiders who know the country better than David Birmingham, and he has written a timely and incredibly readable book on this rising power. This is a fabulous book, an inspiring work of scholarship that reflects the author’s deep engagement with Angola for over half a century.